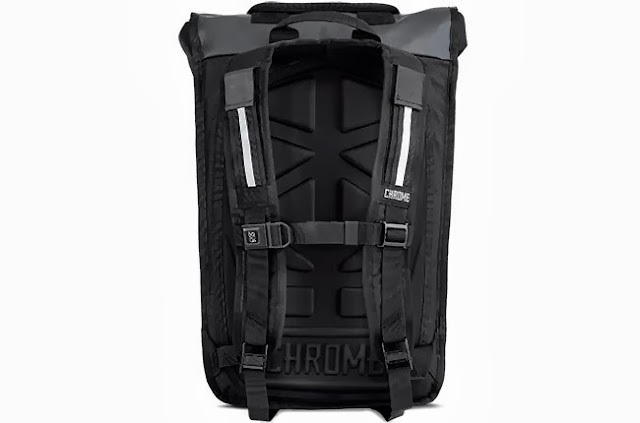 Bags, we have reviewed many of them here on MashButtons, but this will be the first roll top bag we will have reviewed and it comes straight to me from Chrome Industries. 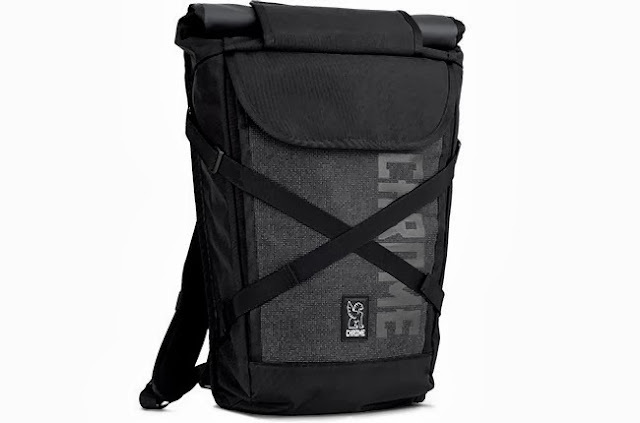 After seeing Joey sporting the good looking messenger and camera bags around, I wanted to get my hands on a new bag to replace my bulky Powerbag. 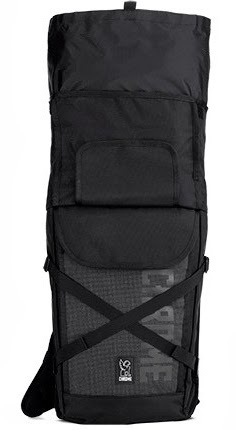 The Bravo note is a roll top, which is great to extend in size for additional storage, but on top on being able to carry a big load it also sports a front pocket that fits up to a 15 inch MacBook Pro, a signature 3M reflective panel that is visible at night, and a cross compression strap system that helps with load distribution. I managed to pack a five day vacation into the bravo night, so let's see how it carries. I am simply amazed that I got five shirts, three pairs of shorts, a pairs of pants, a pair of flip flops, and three hats with my liquids on top to make it easy for airport security. That is just the main compartment, without having to extend the roll top. In the front pocket, rested my MacBook Pro, PS Vita, point and click camera and all my necessary chargers neatly. This bag was neatly organized without a lot of unnecessary pockets. Being that this bag carried what I usually split into a laptop bag and carry on, so I was expecting a much heavier load on my back, but the EVA foam back panel sat nicely against my back and was very breathable, particularly in the usually warm, Phoenix Sky Harbor Airport. The straps couldn't be any easier to adjust with the inclusion of cam lock buckles for simple adjustment, but the sternum strap is what I particularly liked, from the seat belt like signature buckle to the support it provides to make extended use more comfortable. Functionally, I absolutely loved the Bravo Night bag and it has made its way into my number one spot for weekend travel bag. Unfortunately in regards to daily computing it is a bit large and bulky, but if I know I need to move more than just my laptop and a couple other small items like textbooks, consoles, clothes, or beer, the Bravo Night is up for the job. In terms of appearance, it is a bit large if you have to extend the roll top, then it does look awkward, but if you aren't pushing the bag's storage ability, it looks rugged and stylish, with high end materials and support in all the right places. 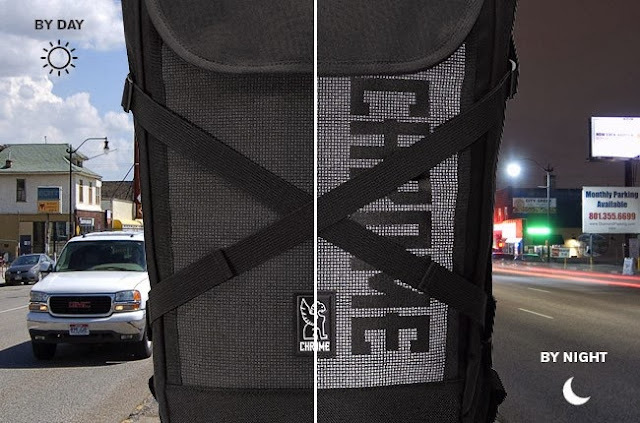 I definitely suggest Chrome's Bravo Night for it's storage capabilities and comfort when heavily packed, it sports the same urban look as other bags in the lineup with the signature 3M Reflective panel that just lights up at night, and is available now for the price of $180.00.